A mid-1600's dueling rapier from the time when full sized ridiculously long rapiers were on their way to becoming smallswords - however, this one with its 3 feet of reach-out-and touch you is still way up there on the rapier end of the scale. 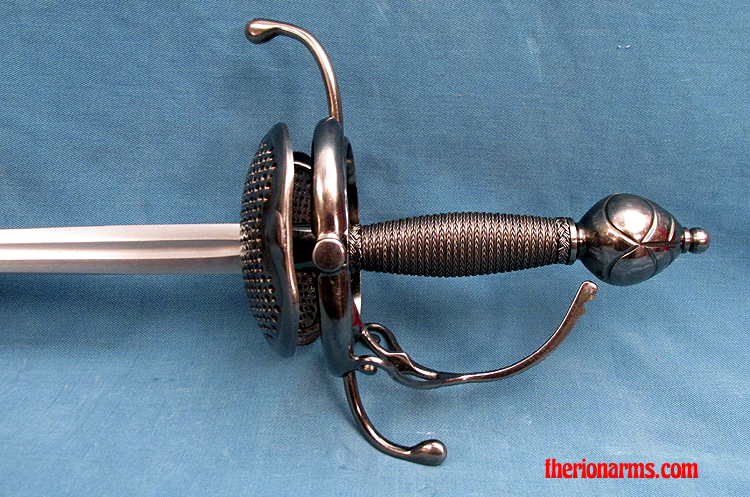 This reproduction features a sharp double edged 1055 tempered steel blade (because rapiers were for cutting, too!) 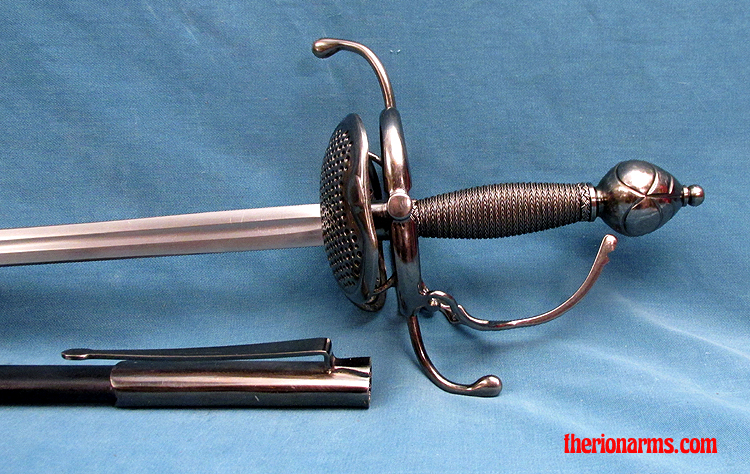 with a needle tipped point (to excel in poking nasty holes), and a tempered steel pierce-work shell guard reminiscent of the military Pappenheimer rapier. The rings, quillons and knuckle bow offer astonishingly good hand protection, while the wire- wrapped grip and chiseled pommel offer great comfort and liveliness. This marvelous weapon comes complete with a hand-stitched leather sheath with steel throat, chape, and integral belt/baldric hook fittings.